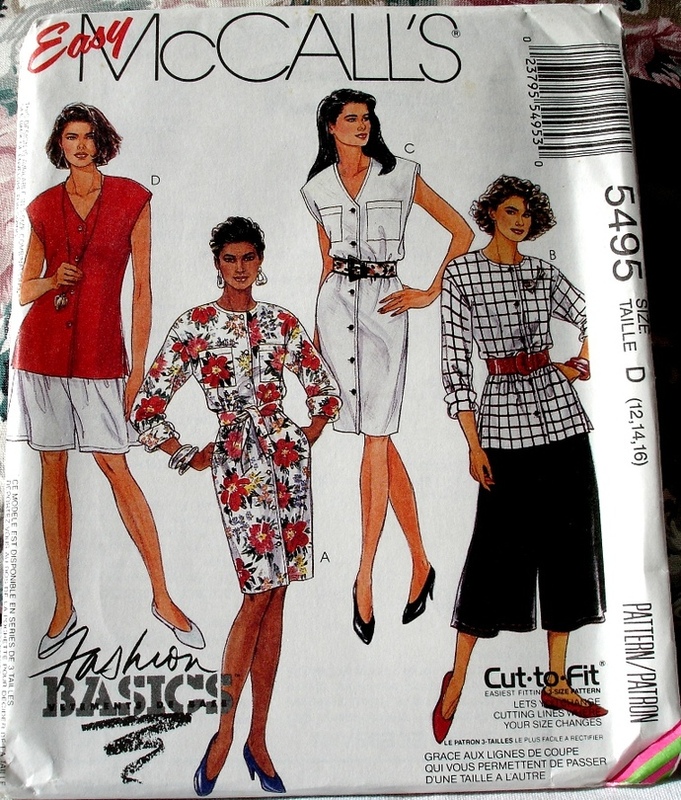 Set of Straight fitting, front buttoned dresses or tops with neckline variations, has dropped shoulders, shoulder pads and long or cap sleeves; tie belt for view A only; pull-on very loose fitting split-skirt in two lengths has fold back waistline casing and elastic and side seam pockets. 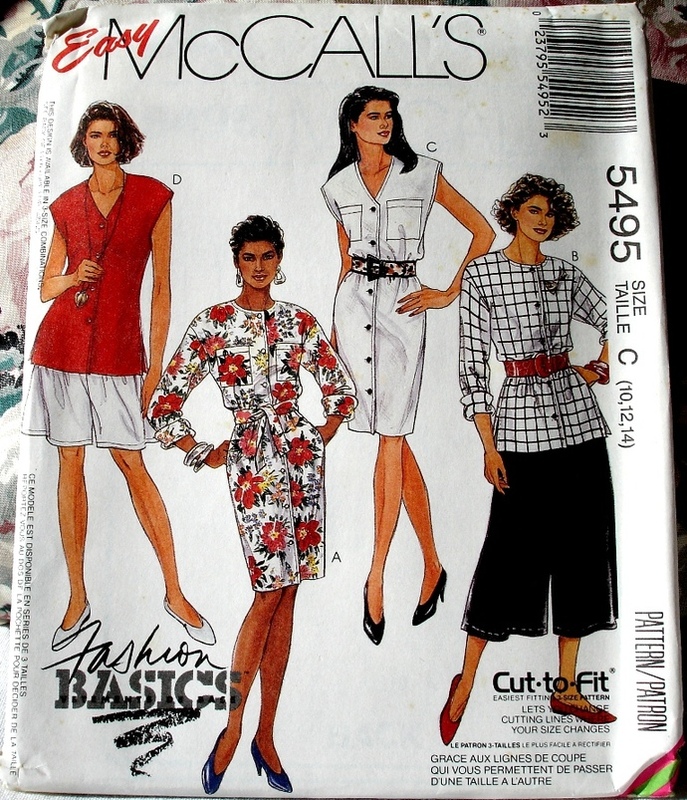 This McCall's 5495 pattern is uncut and factory folded and the envelope is in very good condition. 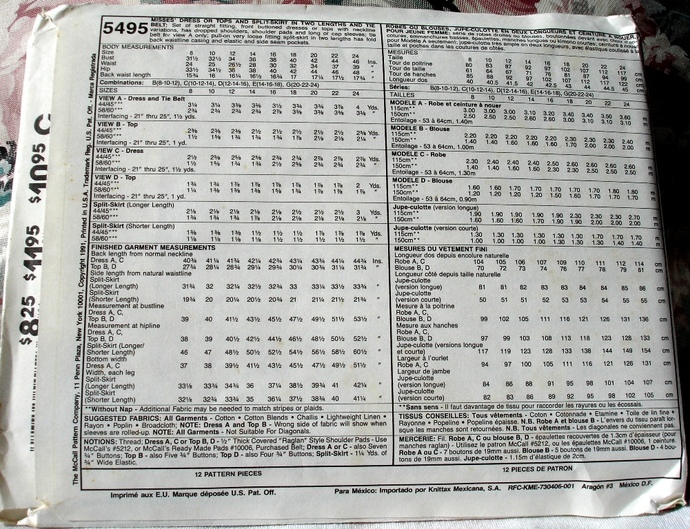 Pattern was copyrighted in 1991.